Welcome to machine knitting patterns page. 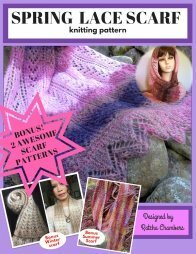 This is where you can find links to many free machine knit patterns. I love hand knitting, but there were times when I would pull out my Bond USM (Ultimate Knitting Machine) and knitted up some quick projects. It comes to handy when you want to knit something fast like a scarf or a last minute gift that look like you spend your whole life knitting it. I often dream about owning one of those fancy knitting machines and knit myself every outfit. My closet will be filled with beautiful knitted tops, skirts, scarfs, shawls and socks. And....who knows what else! 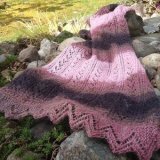 You can submit your own machine knitting patterns here as well. Just use the form provided below to fill out or copy and paste your patterns in it. You can also upload up to three photos per pattern. Once accepted, your page will be lived and people can comment and rate your patterns. I will continue to add more links and make changes often. So don't forget to subscribe to my RSS feeds (on top left corner) so that you won't miss any update. See more link you'd like to add? Please send it to me.